Today is Australia Day, so I am writing about an iconic Australian animal and one that I’ve seen a few times in the wild, the eastern grey kangaroo. They are the second largest marsupial in the world, with the large, muscular males often growing well over 2 metres in length from nose to tail. Eastern grey kangaroos are mainly nocturnal. They sleep during the day in the shade of trees and shrubs, coming out at night to graze on grass. They are also very social animals, living in mobs of up to 20. The way that they hop is a very efficient and energy saving way of travelling in hot Australia weather. They have been timed at 64 kph and can leap over 9 metres long and 1.8 metres high. They can’t walk backwards, which is why they are on the Australian Coat of Arms with the emu, which also can’t walk backwards. One of the most incredible things about them is that when they are first born, they are about the size of a jellybean. They are born tiny, blind and hairless and have to climb up through the mother’s fur to the pouch where they attach themselves to a teat and stay there for a long time, growing quickly until they finally appear after six months. It’s a very dangerous journey for such a small baby and it ensures that only the strongest joeys survive. Eastern grey kangaroos are one of the few animals that have increased in number since the arrival of Europeans. They are found in forests throughout the eastern side of Australia and are abundant in number. 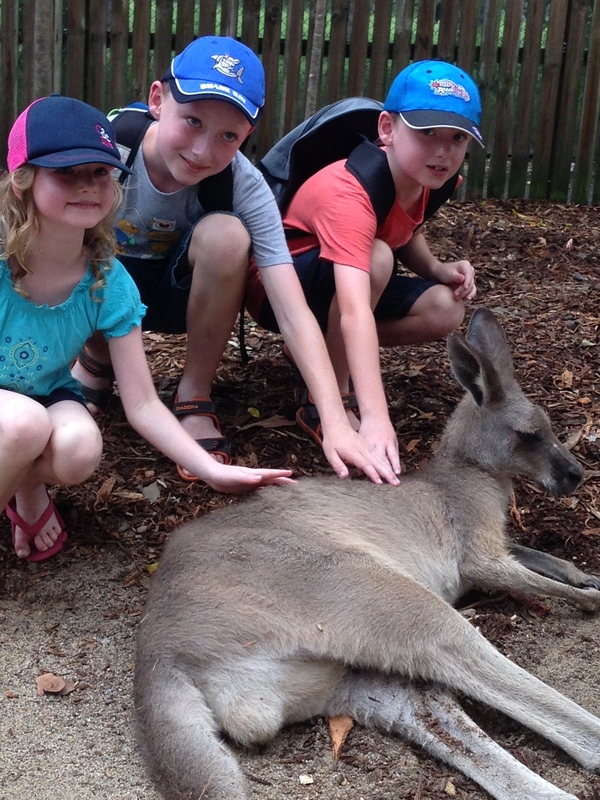 Are there any other interesting facts that you would like to share about eastern grey kangaroos?